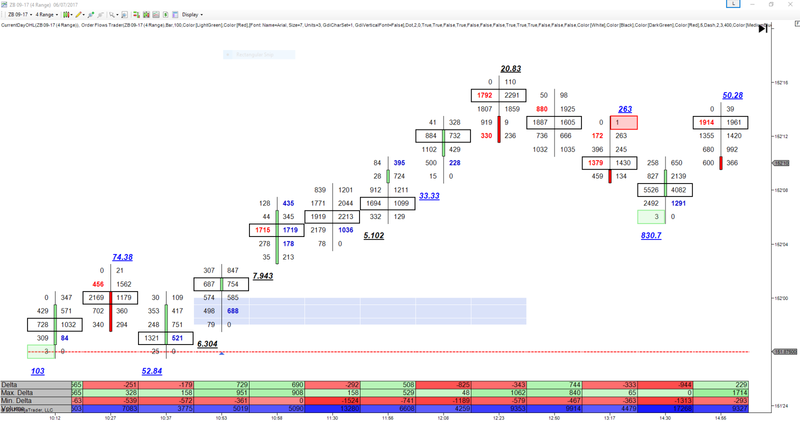 Delta Scalper takes the hard work of analysis of order flow out of the order flow chart for you. Now you can add order flow trading to your current style of trading without having to read volume footprint charts like tea leaves. Works on normal bar charts! What was the change? We added price action to it, before it was 90% based on delta and while it was a great indicator, adding price action analysis really transformed it. Why is order flow delta so powerful? It is the only tool that measures the aggressive buyers and sellers in the market. When aggressive traders are present that is like putting a spark to gasoline. Explosive moves can occur. Delta is real-time market generated information that is used by a small amount of traders - order flow traders. 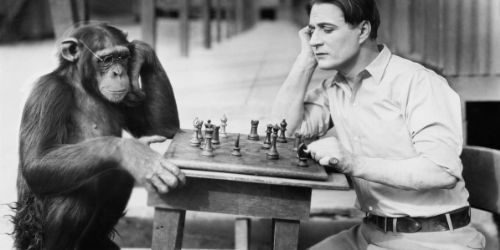 When trading you have to make the best possible decision with the information at hand which is often incomplete. Forget about moving averages, MACD, RSI or just about any other indicator because they lag the market. Delta is the most accurate reading of the strength of buyers and sellers as they are trading. 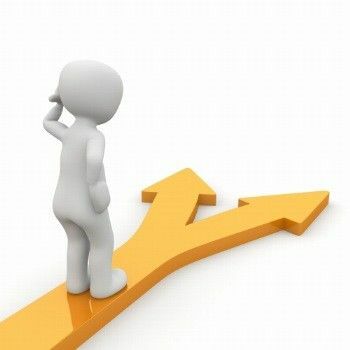 Your goal as a trader is to take trades that have an attractive risk-reward ratio but more importantly has tight stops. There is no point taking trades with a wide stop because all that does is just eat your money. If a trade is not working out, you want to know fast and you want to know where to get out. See changes in supply and demand. This is where trends often start. Knowing this lets you know the direction of the market. See changes in supply and demand. This is where trends often start. See where the institutional traders have shown their hand and are trading big size at the market when it is happening. Have tight stop placements. 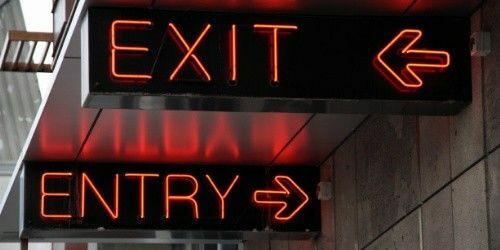 You will know pretty quick if a trade is not working out allowing you to exit quickly. 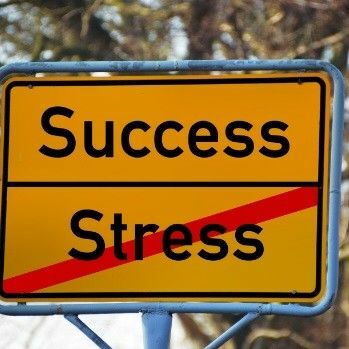 Take the stress out of your trading. 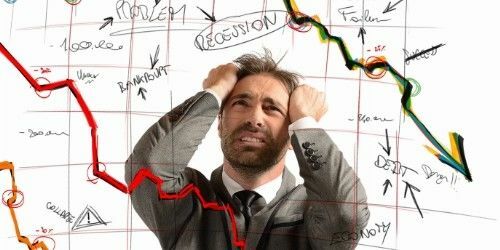 When traders are stressed out about their trades that often leads to losing trades. Delta Scalper makes finding trades less stressful. Buy when the market is showing strength and sell when the market is weak. Sounds simple right? But yet many losing traders fail to realize it and more importantly do it. That is easily one of the biggest mistakes that losing traders make. They don't take into account market strength and weakness. This is why I have created Delta Scalper. Allows you to place tight stops. Identifies quality low risk trade locations. Market generated Buy and Sell signals in real time. Instantly identifies situations in the market when supply and demand are POTENTIALLY shift. Multiple entry opportunities depending on your trading style. A problem many traders have is overtrading. Many opportunities for profit occur everyday in the market. Only the choicest, best opportunities should be taken. How many times do you take trades that you wished you didn't take? 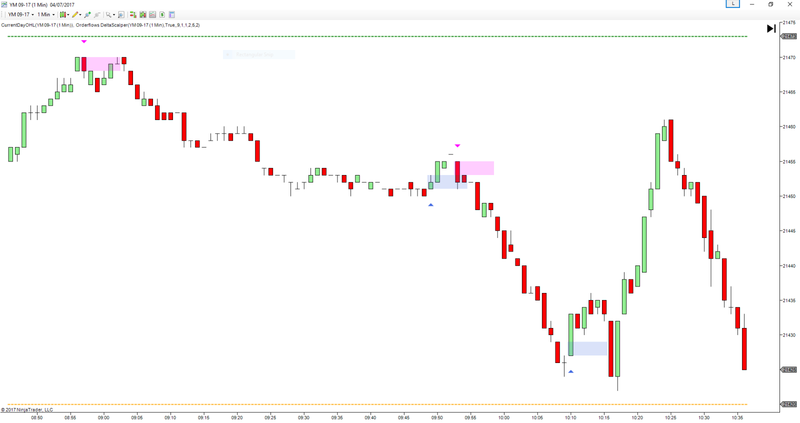 Delta Scalper shows you where and when to take trades. Stop searching for the perfect indicator. It doesn't exist. What makes Delta Scalper different is that it reads the market and tells you when there is a potential change in supply and demand. It is not a trading system by itself but it can be worked into your existing method of trading. Are You Confused With Order Flow? Delta Scalper was created to allow traders who want to add order flow to their trading arsenal. I will be honest, many traders simply do not understand order flow and how to use it. They are missing out on many of the key pieces of information the market is telling them. 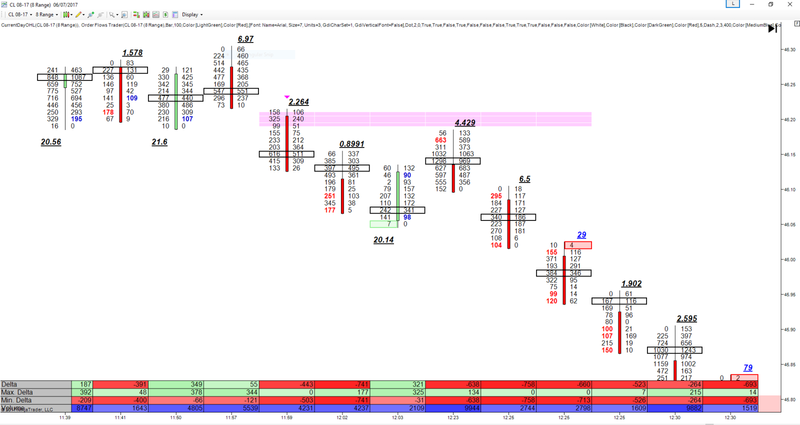 Delta Scalper gives you easy to see entry levels and more importantly, easy to see stop levels. There is no need to have wide stops. With Delta Scalper you will know pretty quick when a trade is not working in your favour. I don't understand how people can keep throwing money at their trading account to bring it back to life. 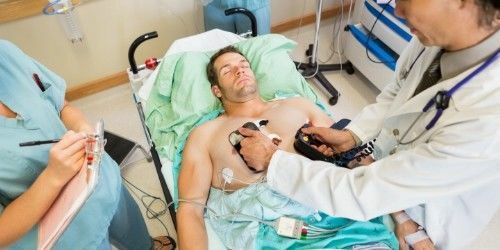 Isn't it better to bring your trading account back to life with better trades, winning trades. What Is Delta? 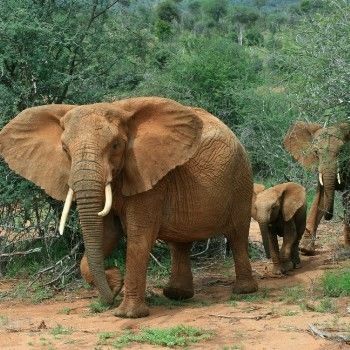 Why Is Delta Important? LeWhat is delta? It is the difference between the volume traded on the bid and the volume traded on the offer. Why is delta important? It measures the strength of the aggressive traders in the market. The traders who are buying the offer or selling into the bid. As a trader what do you want to do? Do you want to buy when the sellers are showing their strength? NO. You will get run over by the sheer strength of their selling. You want to sell when the selling is overwhelming the buyers. The same is true when buyers are showing signs of strength you don’t want to be selling into a rising market on the back of solid aggressive buying, you want to be buying into it. You want to be buying when the buyers are scooping up all the available supply. Let me say it again: you want to trade on the strong side of the market. Don't Want To Look At Order Flow Charts? No Problem - Use Your Existing Charts! I know not everyone is convinced of the benefits of following the market on an Orderflows.com footprint chart that is fine. I have designed the Delta Scalper to run on a normal bar chart. Finally you have a way to read one of the most important aspects of order flow without having to read an order flow footprint chart. This is the first tool of its kind. Harness the power of order flow without needing to monitor every tick that goes through! Delta Scalper is based on my own experience while trading at JP Morgan. When I was accumulating a position and I would see a MAJOR shift from normal buying and selling (market facilitating trade) to one side being incredibly strong. That is when I knew I also had to be more aggressive and finish up my accumulation because more often than not the market would continue in that direction. There are several ways you can trade this. I am more of a short term trader nowadays and look to capture the immediate move. 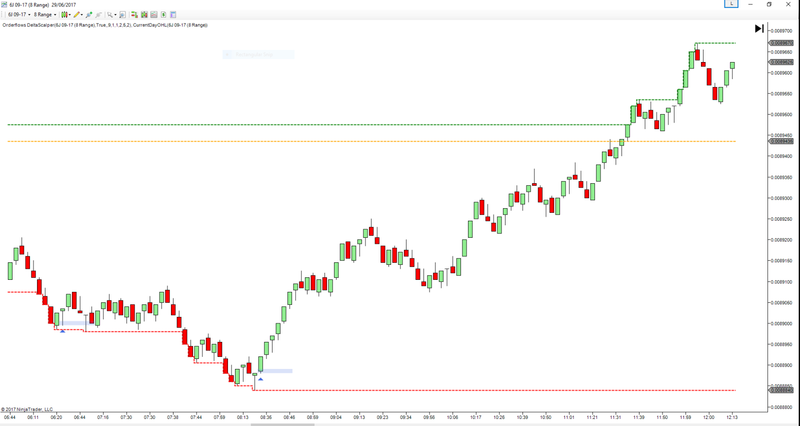 However, some users have told me they are using it to capture major intra-day moves. Delta Scalper is NOT for long term traders. Delta Scalper is for traders who want to jump in and jump out of the market while capturing the most of the move as possible, that is why it is has the word "scalper" in it. Delta Scalper is for day traders. Some users have built their trading plans around the Delta Scalper. As with any method of trading you must use prudent stop and risk management. I will tell you right now, this is not a 100% winning Holy Grail trading system. There is no such thing as a Holy Grail in trading. What the Delta Scalper does is find low risk trades, that have high profit potential. Some trades will get stopped out. That is the reality of any trading method. Losses happen. The difference between losing traders is winning traders is that winning traders take small losses while letting the winning trades make their run. Delta Scalper is a tool for the trader's toolbox. An extra arrow in your trading quiver. 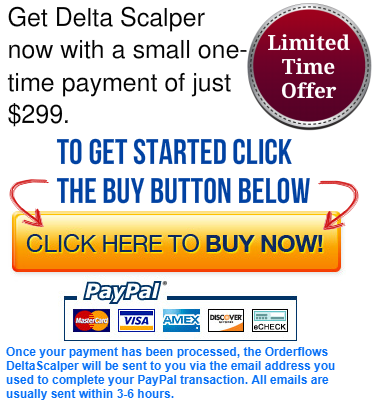 Delta Scalper is now available for Sierra Chart! What trading platform does the Delta Scalper run on? 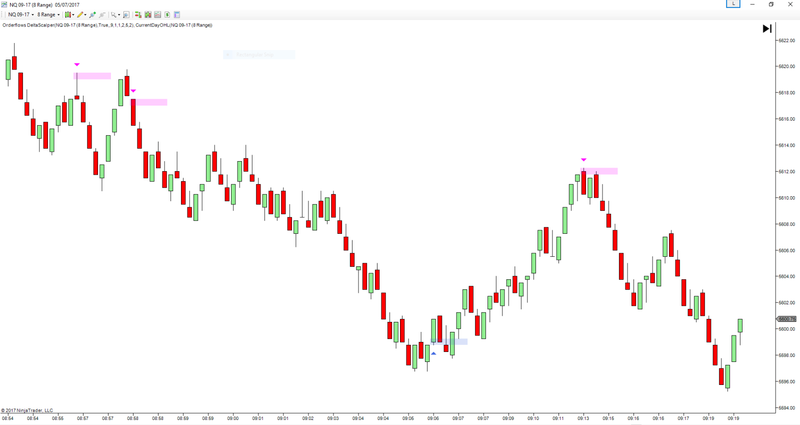 Delta Scalper runs on NinjaTrader, both the free and paid version. 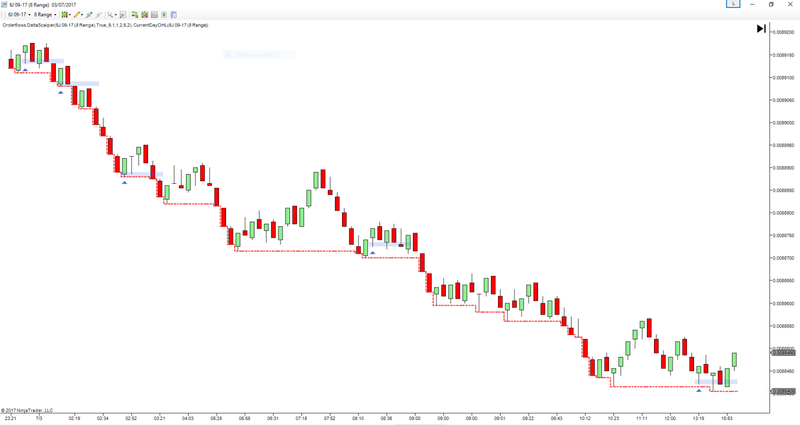 Does the Delta Scalper run on NinjaTrader 7 or NinjaTrader 8? Both. There is an NT7 and NT8 version available. Does Delta Scalper run on Sierra Charts? Can I transfer my NinjaTrader Delta Scalper license to a Sierra Chart license? No. The Sierra Chart version is in partnership with Emoji Trading. You need a new separate license. Do I need the Orderflows Trader software to run Delta Scalper? No. 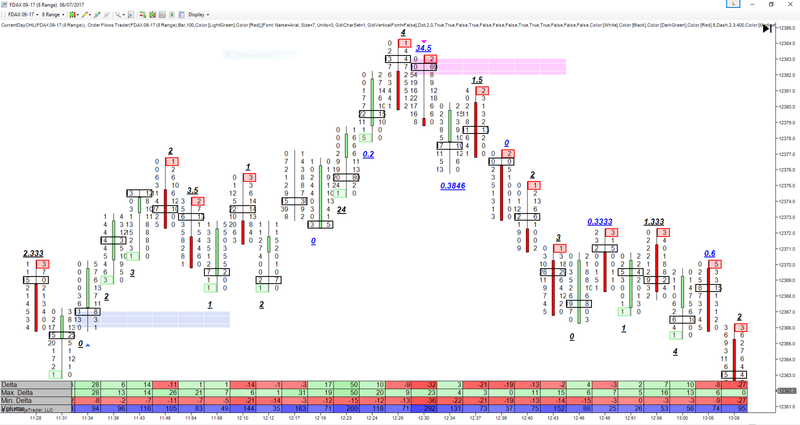 Delta Scalper is a stand alone indicator that interprets the delta and price action in the market. I am a short term trader, I look at the DOM and tick charts. Will Delta Scalper help me? Yes. Delta Scalper analyzes volume traded on the bid and volume on the offer. I prefer to run Delta Scalper on chart ranging from 1 minute to 15 minutes and range charts between 4 range and 10 range. 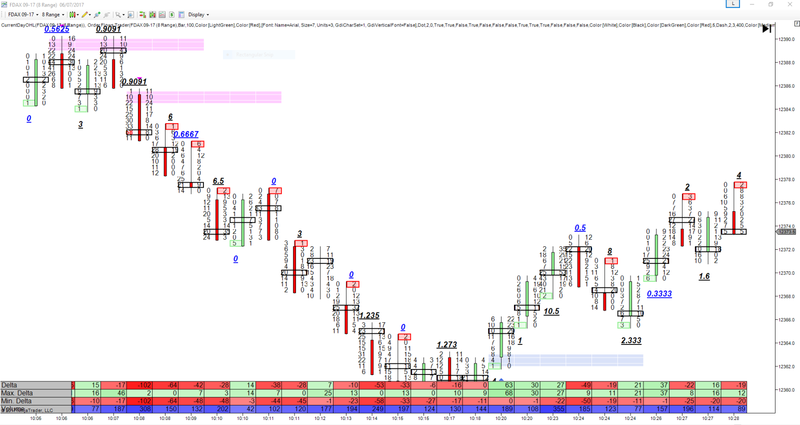 Do I need to use a footprint chart to use Delta Scalper? No. Delta Scalper will run on any chart type. It will run on regular bar charts, candlesticks chart, renko charts, etc. Just about any chart you use it can be run on. When I load Delta Scalper on my chart I don't see any arrows? Delta Scalper reads the traded bid volume and the traded offer volume. It works on real time data as it comes in or it works on recorded data in market replay. 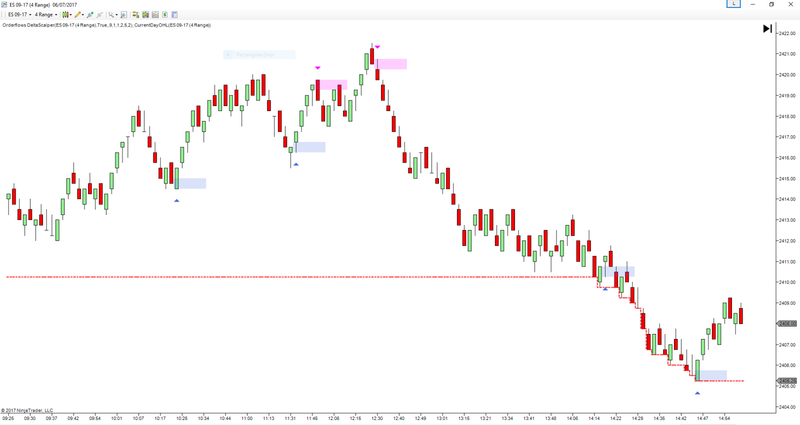 Delta Scalper starts reading the data once you turn on your NinjaTrader and apply it to a chart. 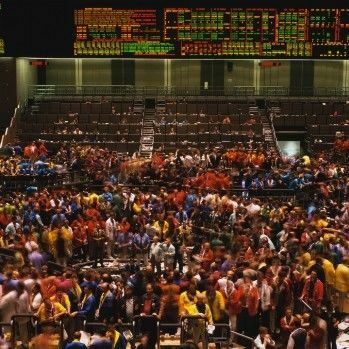 Hypothetical or Simulated performance results have certain limitations, unlike an actual performance record, simulated results do not represent actual trading. Also, since the trades have not been executed, the results may have under-or-over compensated for the impact, if any, of certain market factors, such as lack of liquidity. Simulated trading programs in general are also subject to the fact that they are designed with the benefit of hindsight. No representation is being made that any account will or is likely to achieve profit or losses similar to those shown. This presentation is for educational and informational purposes only and should not be considered a solicitation to buy or sell a futures contract or make any other type of investment decision. Futures trading contains substantial risk and is not for every investor. An investor could potentially lose all or more than the initial investment. Risk capital is money that can be lost without jeopardizing ones financial security or life style. 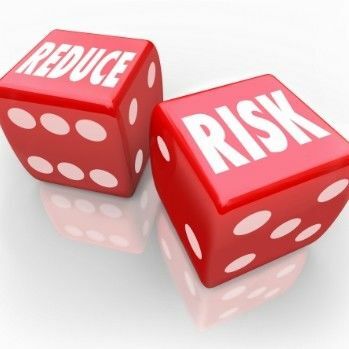 Only risk capital should be used for trading and only those with sufficient risk capital should consider trading. Past performance is not necessarily indicative of future results. Hypothetical performance results have many inherent limitations, some of which are described below. no representation is being made that any account will or is likely to achieve profits or losses similar to those shown; in fact, there are frequently sharp differences between hypothetical performance results and the actual results subsequently achieved by any particular trading program. 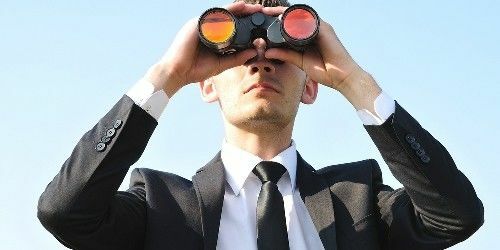 One of the limitations of hypothetical performance results is that they are generally prepared with the benefit of hindsight. In addition, hypothetical trading does not involve financial risk, and no hypothetical trading record can completely account for the impact of financial risk of actual trading. 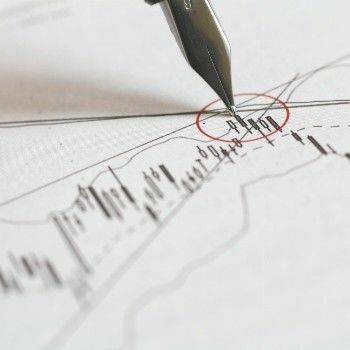 for example, the ability to withstand losses or to adhere to a particular trading program in spite of trading losses are material points which can also adversely affect actual trading results. There are numerous other factors related to the markets in general or to the implementation of any specific trading program which cannot be fully accounted for in the preparation of hypothetical performance results and all which can adversely affect trading results. Thanks for subscribing. Share your unique referral link to get points to win prizes..